Home » Copycat Restaurant Recipes » Macaroni Grill Sugo Bianco – grilled chicken with a creamy Asiago sauce and pasta. Macaroni Grill Sugo Bianco – grilled chicken with a creamy Asiago sauce and pasta. Macaroni Grill doesn’t offer this pasta and chicken dish any more, but you can enjoy this dish anytime you like. Thanks to Wardlowe for sharing this grilled chicken and pasta recipe. 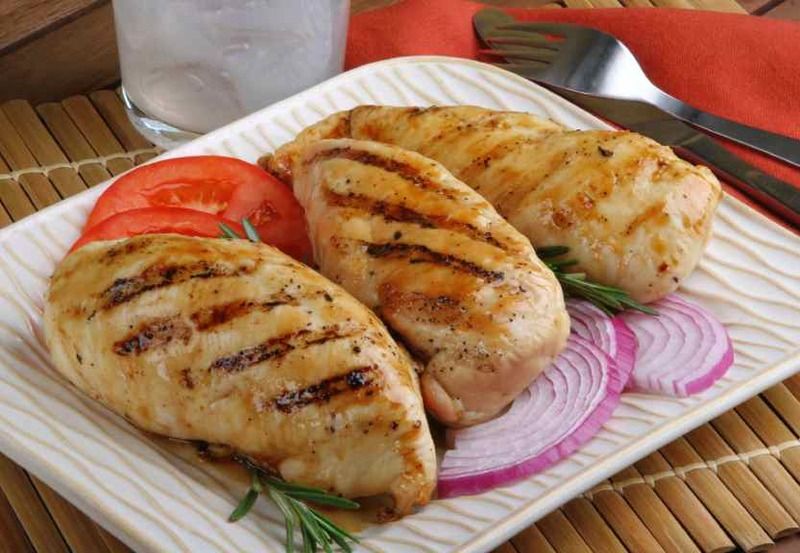 You can prepare grilled chicken with a creamy Asiago sauce and pasta. Sauce: Heat cream to very hot and just bubbly (but not a boil). Add chicken base, and cheese. Stir constantly with a wire whisk and bring the temperature back to just bubbly. Dissolve cornstarch in the cold water and add to sauce. Bring to a slow simmer to cook out the starch. Transfer sauce to a container, cover and refrigerate until needed. 2. Pasta Dish: Sauté red onion in butter for a few seconds then add pancetta and garlic. Add chicken, green onion tops, and pasta. Deglaze the pan with the cream. When the chicken is cooked add asiago cream sauce. Heat thoroughly. 3. Garnish with parsley and serve.